Do you know that monkey forest is not just in Ubud? 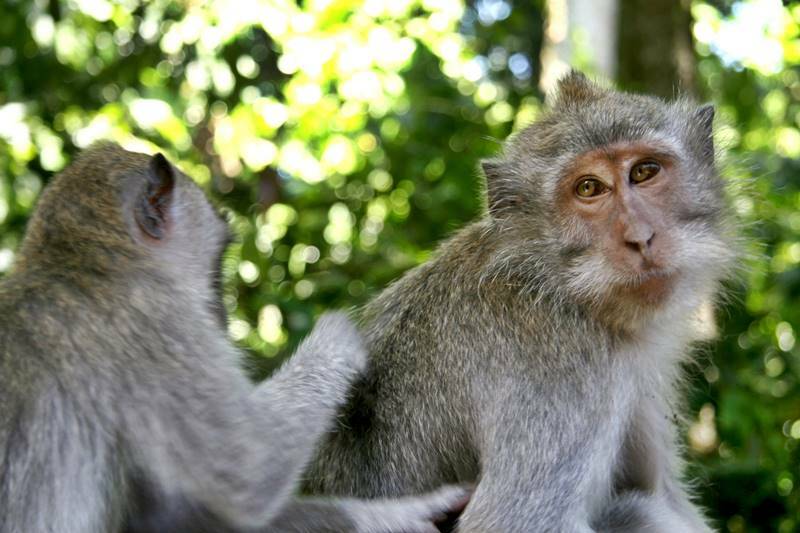 There is another monkey forest in Bali, in Kukuh Village near Tabanan for the exact. Alas Kedaton Monkey Forest is a tourist attraction that we mean. In addition to Taman Ayun Temple, this place is one of the popular places that tourists usually stop by during Tanah Lot tour with their personal Bali driver. Called Alas Kedaton by the locals or the Holy Forest, this small forest is also another place dedicated to the sacredness of monkeys in local spirituality. Like other sacred grounds, this place also has its own temple. Besides that, there are about 27 species of trees here, which make the place very breezy and lush. Alas Kedaton also serves as a sanctuary for monkeys. 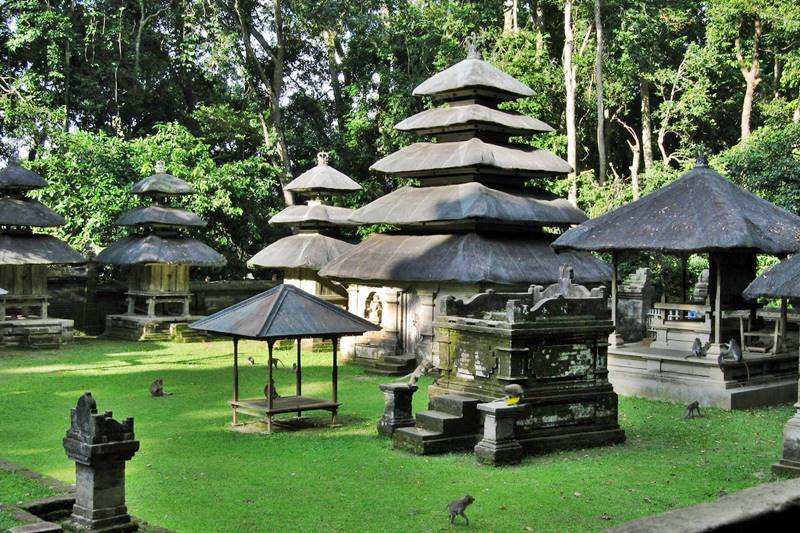 If Ubud Monkey Forest is located in South Bali, Alas Kedaton is located in the west. The forest is not far from Tabanan. Access from the capital city Denpasar to this place is good; the road is smooth and you can use rented motorbike, car, travel bus and of course private car charter. When touring Tanah Lot, this tourist attraction will be stopped before arriving in Tanah Lot temple. Alas Kedaton is a forest that serves as a tourist attraction, sacred place, worshiping place and wildlife sanctuary. Alas Kedaton Temple is still used to conduct religious rituals by the locals, 210 days in a year, which are usually conducted every Tuesday. The inside area has wide yards, which are parts of the temple and where you can see monkeys roaming. There are adult, juvenile and baby monkeys here. 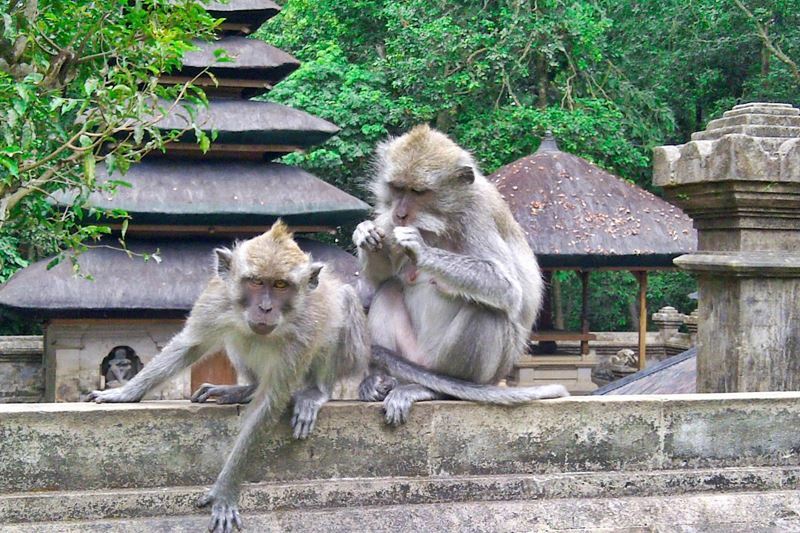 And like in Ubud Monkey Forest, these monkeys are funny but can also be mischievous. It is nice to watch monkeys interact with each other, and there is even local belief that says if a monkey jump without provocation to your shoulders or arms, it means good things will come to you. This area also becomes a place to educate tourists about wildlife, the religious aspects of this forest, local species and many more. The beautiful forest, the temple and the monkeys become sight to behold. It is not just monkey that you can see in Alas Kedaton. There are also souvenir shops, food stalls and photographer service. You can also hire a guide to walk you around. This guide will help you goading the monkey to come near you for photos, or help taking back your snatched camera, sunglasses or hats if mischievous monkeys grab them. If the guide has souvenir shop, buy some of his or her stuffs at the end of the tour as a sign of gratefulness. Alas Kedaton is a proof of Balinese’ versatility in promoting tourist attractions while still pay respect to things that they consider sacred and holy. If you are interested in visiting Alas Kedaton Monkey Forest, please don’t hesitate to contact us for more information about Tanah Lot tour.